Summer months brings big impact for the people especially for the events company who handling an outdoor events or parties. 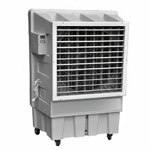 For this instance, volume of people required cooling solution in keeping the location cool and comfortable all day long. 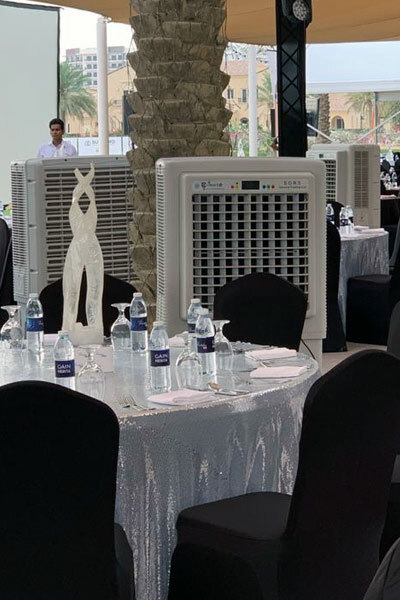 We have an extensive number of outdoor cooling systems for events with different models to ensure that your event is one to remember. We highly support the needs of our valued clients across United Arab Emirates by providing the units that can save their time, effort and money. 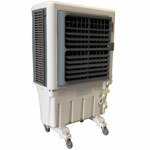 We offer various cooling machines available for sales and rental. As part of the leading company in this industry, we maintain and continue to head towards in progress direction by satisfying the needs of our clients. 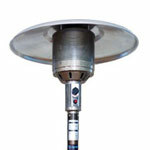 We are experts in terms of evaporative cooling technologies. 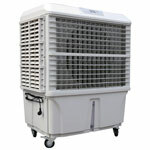 We can provide you with a stylish designed and professionally installed event cooling system in an affordable price. 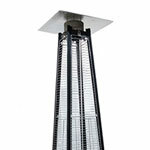 If you are looking to provide the ultimate outdoor even cooling experience, we can here to help you. Stay cool with e-Aljazeera! NOTE: Approximately, 85AED added if gas cylinder/fill is included.